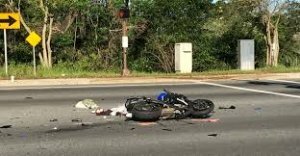 West Palm Beach Motorcyclist, Wesley Ayala, Killed In Crash West Of Stuart | Schuler, Halvorson, Weisser, Zoeller & Overbeck P.A. Wesley Ayala, a 25-year-old West Palm Beach man, was killed in a motorcycle crash just west of Stuart, according to the Florida Highway Patrol. The crash took place in Stuart, Palm Beach County. Wesley Ayala was killed when the Kawasaki Ninja motorcycle he was operating crashed into a 2015 Hyundai Elantra at the intersection of Southwest Citrus Boulevard and Southwest 96th Street, Florida Highway Patrol officials said. The intersection is near the Kanner Highway exit on Interstate 95. According to a crash report, Wesley Ayala failed to stop at a stop sign and smashed into the Hyundai. The motorcycle was traveling westbound on Southwest 96th Street and the Hyundai was making a left turn onto eastbound Southwest 96th when the crash took place. A 52-year old man of Okeechobee was driving the Hyundai and was not injured. Wesley Ayala was ejected from the motorcycle and died at the scene, Florida Highway Patrol officials said. The crash remains under investigation and a toxicology report on Wesley Ayala is pending, according to the report. Anyone with additional information concerning the crash should contact the Stuart Police Department or the Florida Highway Patrol officials.